Over 1,300 photos! ALL high res! 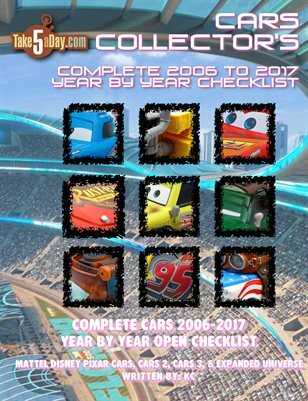 The difference between this overall checklist and the other one is this one shows CARS released year by year (the other ALL-ONE lumps everything together in ALPHABETICAL ORDER). If confused, just click on PREVIEW to see the difference. This checklist also shows every lenticular release. This recap lists EVERY CAR in YEAR BY YEAR order.